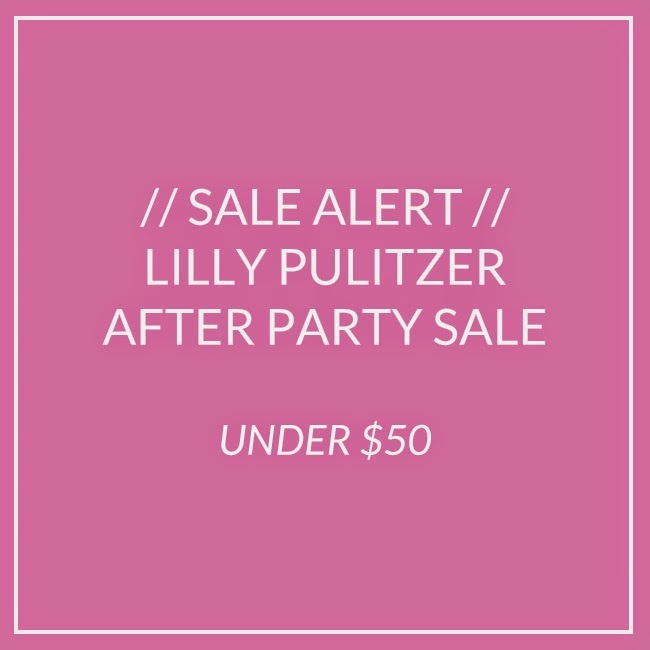 The Lilly Pulitzer After Party Sale is pretty much the most amazing sale at the end of summer. If you're anything like me and love a good deal, you were up this morning before 7:00 AM refreshing your page multiple times until you could access the site. The sale lasts three days, from August 18th through the 20th. If there is anything you've had an eye on, I recommend buying it as soon as you can today because it will definitely be gone by the end of the sale. Be prepared for site crashes and things disappearing from your shopping cart. (True story: That literally happened while I was writing this post.) It's a rush and it's fantastic. Shop my favorite finds from this morning that are under $50 in the list below. Enjoy! Will you be shopping the After Party Sale? What great deals did you find?